Create a legally binding Colorado Bill of Sale with our attorney-drafted template! A Colorado bill of sale is a document that details the exchange of ownership related to the item discussed in the document. The document is highly beneficial because it acts as legal proof of ownership and can also be used in court to prove ownership. Some types of bills of sale must be signed in front of a notary. What Are Some Common Bills of Sale Used in Colorado? In Colorado, the most common bills of sale that are used include a general bill of sale, a bill of sale for a motor vehicle, a bill of sale for a boat, and a bill of sale for a gun. How Do I Write a Colorado Bill of Sale? To write a Colorado bill of sale, you need certain information. The information will largely depend on the item that is being sold, but all Colorado bills of sale require some basic information about both the buyer and the seller. Specifically, you need the legal name, driver's license number, and physical address. If you're completing a general bill of sale in Colorado, you will need to include specific information about the item. For example, you'll want to add the serial number if the item has one. You'll also want to add other necessary descriptors. For example, if you're selling your old laptop, you'd want to include the make, model, whether it has a CD or DVD drive, and the color of the laptop. You would want to list the price of the item first in words and then as a dollar amount. For example, one-hundred and seventy-five dollars and no cents ($175.00). Next, you'd give the date that the sale took place. 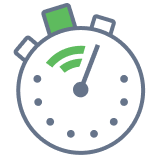 If the buyer will pay for the item on a different date, that must be specified, and the date must also be listed. If there are other terms related to the sale, you should include them in the bill of sale. If the buyer is receiving the item as a gift, that must be indicated. You must also include information about any trade that is included. A general bill of sale in Colorado must include a seller's disclosure. The disclosure must inform the buyer if the item has any defects. This disclosure, along with the rest of the bill of sale, must be signed by the buyer and seller in front of a notary public. In addition to the basic information about the buyer and the seller, you must include the VIN, year, make, and model of the vehicle. 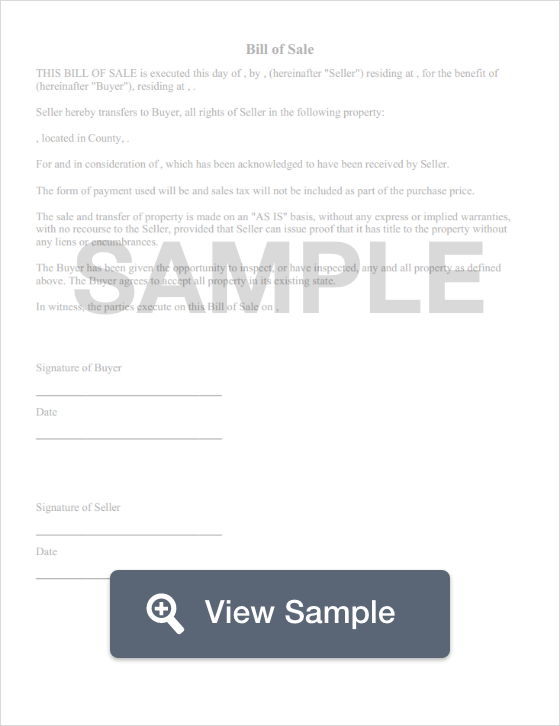 The bill of sale must include both buyer and seller agreement statements. The statements should indicate whether there is a warranty or if the vehicle is an "as-is" purchase. The bill of sale must also include a penalty of perjury statement. A Colorado bill of sale for motor vehicles must be signed and dated by both the buyer and the seller, but it does not have to be notarized. Along with the basic information about the buyer and the seller, you must list certain information related to the boat. That information includes the make, length, year, Hull ID, registration number, and the title number. The bill of sale should also list whether a trailer is included. If there is, the bill of sale should include the make and year. Additionally, the bill of sale should disclose whether an outboard motor will be included. If so, the bill of sale should include how many motors will be included along with the make, year, and horse power. The bill of sale does not need to be notarized. A Colorado bill of sale for a gun should include the full name, physical address, and driver's license number. It should also include the make, type, caliber, or serial number of the gun. Next, you will list the amount of money that the gun was sold for. It should be listed in words and then in numbers. For example, two-hundred and twenty-five dollars and no cents ($225.00). The date of the actual sale should be listed. However, if there will be a trade or payment for the gun at a later date, that date should be listed. If the exchange involves a trade, the trade information should be detailed. A Colorado bill of sale for a gun must include a both a buyer's and seller's disclosure. They should be read in full before the document is signed. Although a bill of sale for a gun is primarily designed for personal record keeping, it could be useful to have both parties sign the document in front of a notary. Is a Colorado Bill of Sale Required to Register a Motor Vehicle? No, but a Colorado bill of sale for motor vehicles can still be an important document. Although it isn't required for registration, it may be useful during the titling process. A bill of sale may be used as a document to help establish your ownership of a vehicle if you do not have the original title signed by the seller. Vehicles must be registered within 30 days of purchase. However, if you purchase the vehicle from a dealership, they will generally prepare all of the necessary documentation for the registration process. According to the Colorado Department of Revenue's website, you need a VIN verification if the vehicle was titled in another state, a title in the owner's name or current out of state registration documents, verifiable ID, and proof of vehicle emissions, proof of insurance. Is a Colorado Bill of Sale Required to Register a Boat? No, but a bill of sale can act as proof of ownership. Proof of ownership is required for you to register the boat. The registration process is completed through Colorado Parks & Wildlife. You will need to complete a Registration Application as well as be prepared to pay your registration fees. Is a Bill of Sale Required to Register a Gun in Colorado? No. In Colorado, there's no need to complete a formal registration process for a gun. However, a bill of sale for a gun is still a valuable personal record. In the event you sell a gun and then it is used in a crime, you would be able to show that you no longer owned the weapon at the time of the crime. Colorado does have a concealed permit for guns. A Colorado bill of sale for a gun may be useful when applying for a permit. To learn more about how to obtain a concealed permit in Colorado, click here. Create a free Colorado Bill of Sale in minutes with our professional document builder.